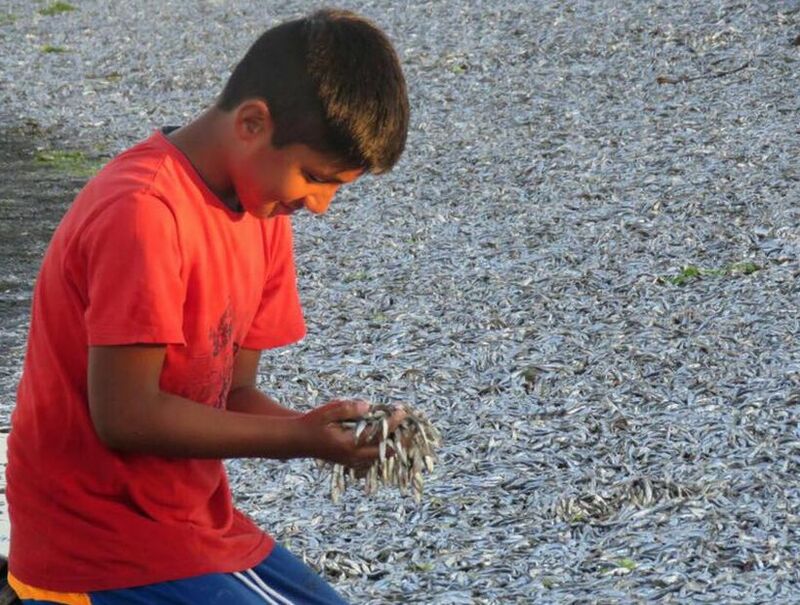 The Big Wobble: Millions of dead sardines wash up on a beach in Chile: Dead fish as far as the eye can see! A new marine life disaster in Chile as millions of dead sardines washed up dead last Thursday in the beach of the locality of Aucho in Quemchi. The find has attracted the attention of the inhabitants of this coastal sector who did not hesitate to approach to the edge of the place to verify the situation. Yohana Rodríguez, a tourist entrepreneur, said it was some visitors who first noticed the fish sighting on an entire stretch of the beach and intensified on Friday morning. "The tourists found the surprise of this stranding of sardines and today we went to see how big it was and of course it was a lot of small sardines," explained the local entrepreneur. The population of Auchao added that "if what was catching our attention days ago is that it was getting too much seagull". The unusual phenomenon is already in the knowledge of the port captaincy of Quemchi that moved to the beach of Aucho to inform of this strange event in the coasts of the place. The biggest disaster and cover up in the history of mankind! Yes it true what God has said about the fish be taken away and did not say how is was to be none ! Why aren't the people dying then if it is radiation? 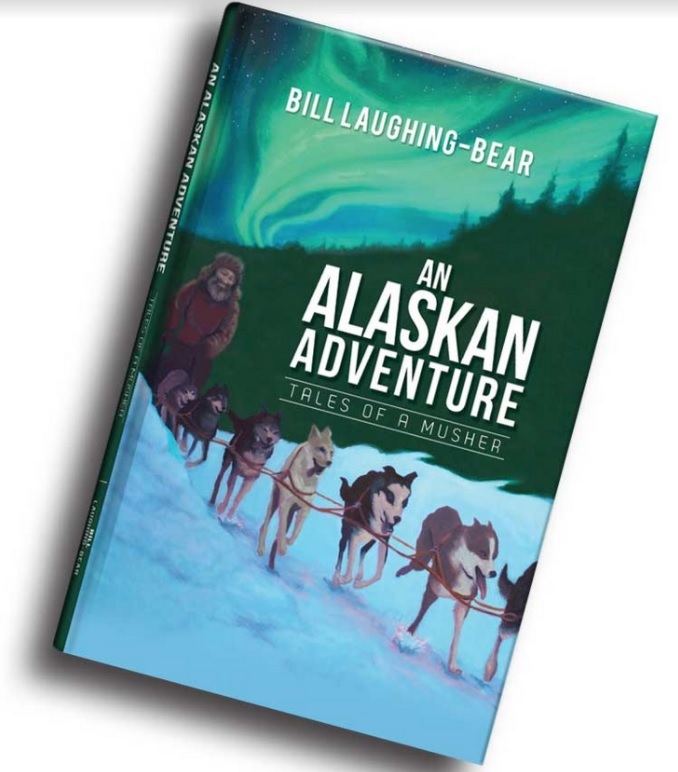 Millions of people live on west coast from Alaska to S. America. Can anyone explain this? People aren't dying from radiation yet because low level radiation can take years to accumulate in the human body. I will grantee low level radiation is a slow painful death and its here . I am on the West Coast and radiation levels are very slowly building up. I test the air and water weekly and it is slowly accumulating, why do you think governments around the Pacific keep increasing the allowable level of radiation. Their idiots their is no safe radiation level, slow or quick death it all kills slow buildup allows the morons to hid it then in 20 years when everyone is dying of cancer they'll tell you its solar radiation and 99% of the sheep will believe it. I live in the gulf of Mex. 90 mi inland from Panama City, Fl. The gulf is an open sewer with chemicals and run off from farms, and anyone is a fool to eat any seafood out of the gulf, got really bad in the 80's and worse after Katrina onward. Bacteria skin diseases (serious) has been reported. This is another example of media news lying to the people and not warning them to stay out of the water and quit eating contaminated seafood. E coli killed a co worker back in the 90's (kidney failure) from eating fish in Gulf Shores. The answer is simple ! Radiation would not cause this. Do your homework. Its Fukushima. Just put up a barrier across the ocean to keep the pollution trapped around its source. This should have been done 3 years ago. WE are all DOOMED- Jesus is the answer not man! The oceans have many enemies. Fuka shima is just the nail in the coffin.